Having at least a valid Will or Trust is essential, no matter what size estate you possess, in order to avoid problems in Probate. 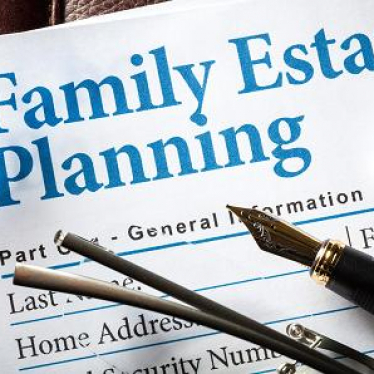 Many families choose estate planning as the best way to minimize future tax-liabilities on their assets and property, protect those assets and to assure that there is an orderly succession of family business and inheritance to selected heirs. There are a variety of ways to accomplish these goals, but the first step is to work with an accomplished and experienced California Estate Planning Attorney. In Valencia, CA, Southern California Attorney Seth M. Goldberg has established a law practice that focuses on helping clients set and achieve goals for estate planning. He understands family dynamics and has the skills and knowledge needed to provide clients with honest and reliable legal advice and representation for their estate concerns. He is patient, a good listener, and diplomatic when working with clients. They quickly see how caring he is, and that he wants to understand their needs and concerns about estate matters. In his practice of estate planning, Attorney Seth M. Goldberg works closely with clients and in collaboration with other professional advisors or wealth management teams his clients work with to preserve and protect their estate. Clients may need several valid documents to provide the protection they desire for their assets and property after they pass on, or if they are incapacitated. Having at least a valid Will or Trust is essential, no matter what size estate you possess, in order to avoid problems in Probate. If your estate moves in to Probate, a judge may appoint a stranger to manage and administer your estate. A properly prepared and filed Will or Trust document can ensure that your wishes are respected. Attorney Seth M. Goldberg has a long history of success during his legal education and law practice in Southern California. He has prevailed in trials and arbitrations, and is a Colonel in the California National Guard, in addition to operating his award-winning law practice located in Valencia, CA. Make the call today to gain experienced legal representation to protect your estate. Contact the Law Offices of Seth M. Goldberg, A Professional Law Corporation, at: (661) 294-9123.